We have updated and improved our popular one day Interior Design for Homeowners course! If you are interested in Kitchen Design why not join us on April 4th, 2019 in Redleaf Business Park, Donanbate. Coffee and welcome at 10:00 and we aim to finish by 16:00! Course cost €250. Space is limited. 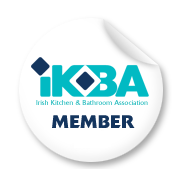 Booking by email to info@ikba.ie.